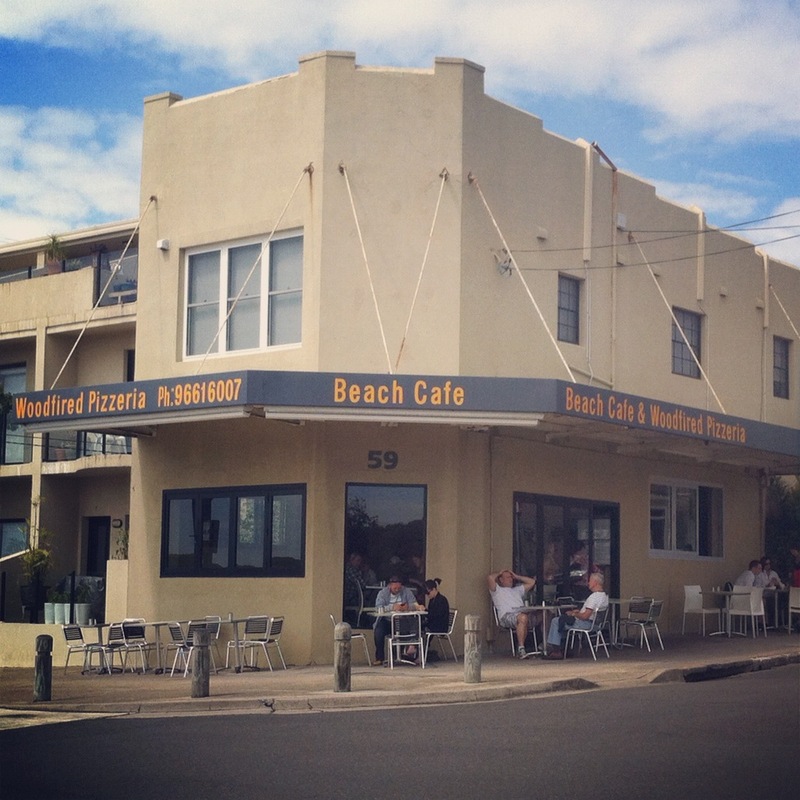 Hello, Beach Cafe. I hear you’re the rogue twin brother of Pool Cafe. 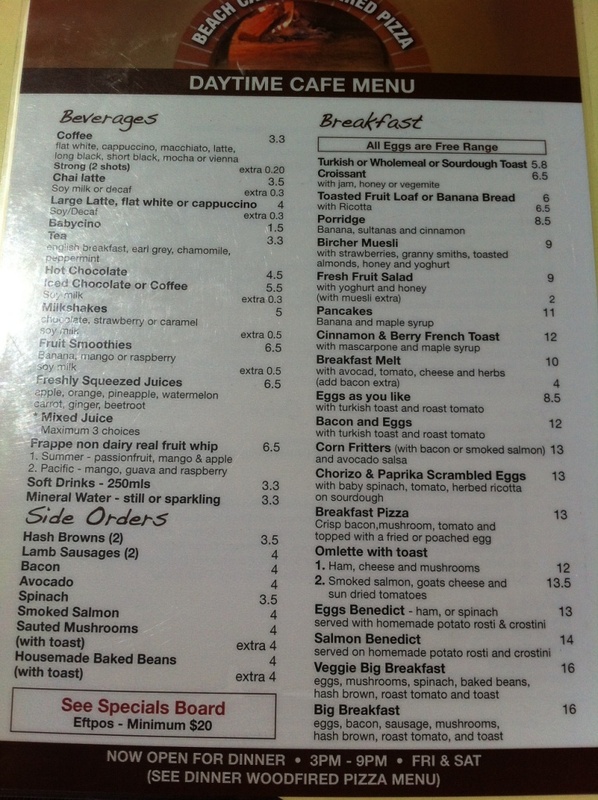 You’re almost identical, but located a little further down the coast and attracting far fewer brekkie questers. 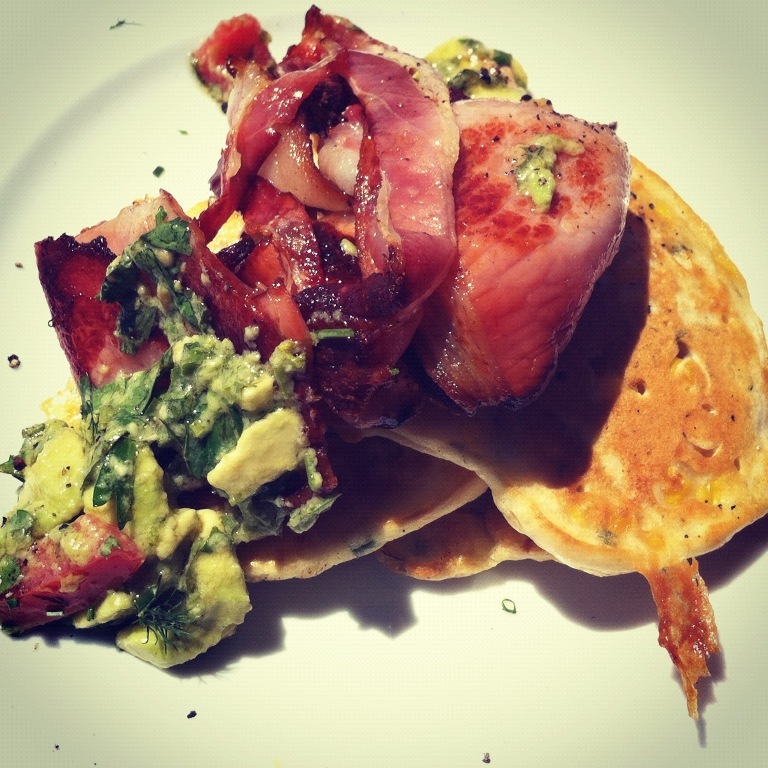 Given your menu was similar to Pool’s, I opted for your crispy corn fritters with bacon and avo salsa. They looked delicious but alas, they were merely pancakes with a sour salsa mix, and not one bit like Pool’s. I wasn’t a fan. Thankfully I had a nibble of Damien’s eggs Benedict with potato rosti to mitigate the disappointment – that dish managed to stack up against your twins. You’re pretty quiet and out of the way, but you’re a peaceful alternative to the usual bustle of the city. I liked you. I didn’t love you. Eggs: 4 Damien’s poached eggs were very gooey. Toast: ? No toast today. Knife: 2 Average. Nothing to write home about. Ambience: 3.5 You’re a quiet spot, just near tiny Malabar Beach, with a few tables out in the sun and some inside. I wouldn’t put you down as a people watching beach hang-out, more the kind of spot for a quiet brekkie out of the way. Price: 3 Pretty good actually – $8.50 for eggs on toast and nothing over $16. Hello Sydney Cafes. Katherine Riches wants the creamiest coffee, the gooiest eggs and the crustiest toast. Do you have them for her? She’s also looking for sharp cutlery. What kind of cafe serves thick sourdough toast with a butter knife? She does not like these cafes. They make eating hard work. 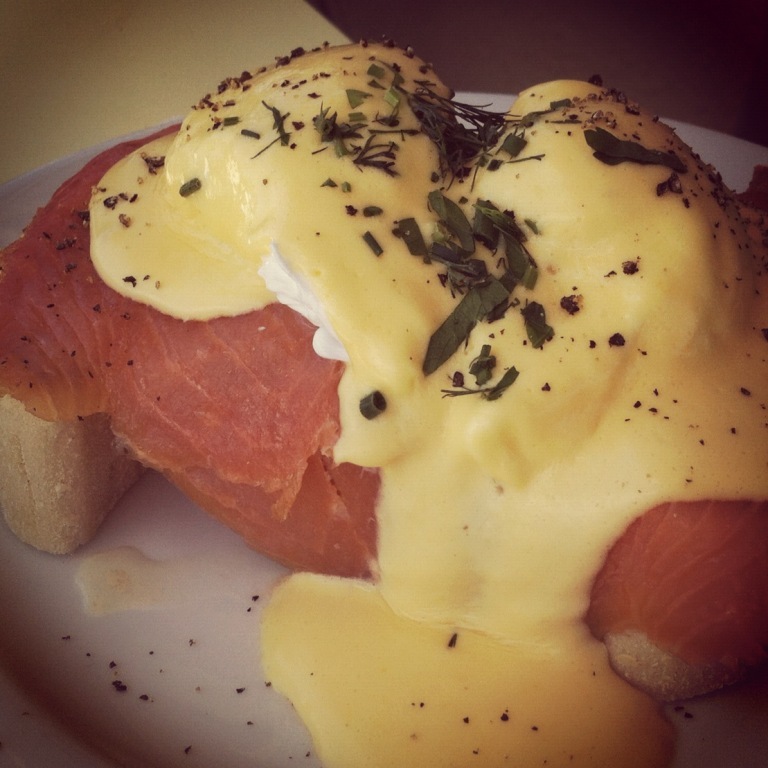 Her brekkie quest aims to seek out all you groovy cafes from you cruel and daggy ones. P.S. She’ll also be scoring your elements from 1 to 5. This entry was posted in Featured, Food and tagged brekkie quest, food. Bookmark the permalink.